If your school participates in the Free or Reduced Price Meal program (FRPM), your class automatically qualifies for a scholarship that matches the percentage of the student body that is eligible for FRPM. For example, if 80% of the students at your school are eligible for FRPM, then any class at your school qualifies for an 80% scholarship for any WildCare Education Program fee. If your class needs more financial assistance than the automatic amount awarded, we will do our best to accommodate. To apply for a scholarship, go to the program’s link below and complete the required information. Click to request a Wildlife Ambassador Program at your site. Click to request a Nature Van Program at your site. Click to request a Nature Hike at one of our hiking locations. Click to request a Center Tour. Questions? 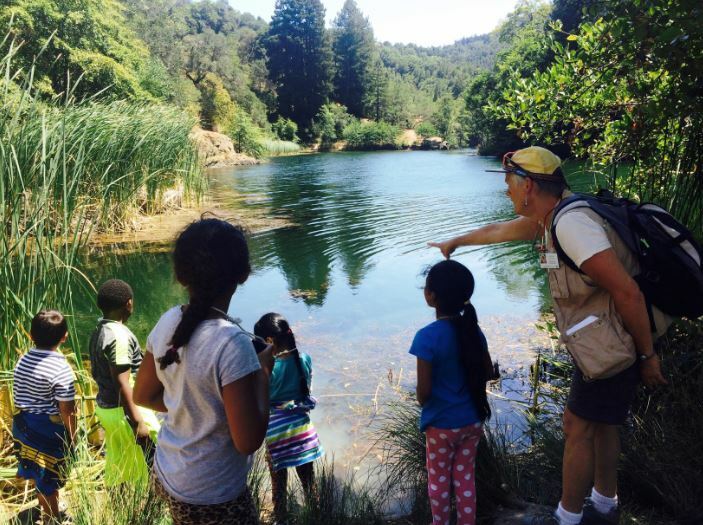 Please contact Eileen Jones at 415-453-1000 x12 or eileen@discoverwildcare.org. Click here if you are looking for information on individual scholarships for WildCare Nature Camp.